Oh man, what a dream! 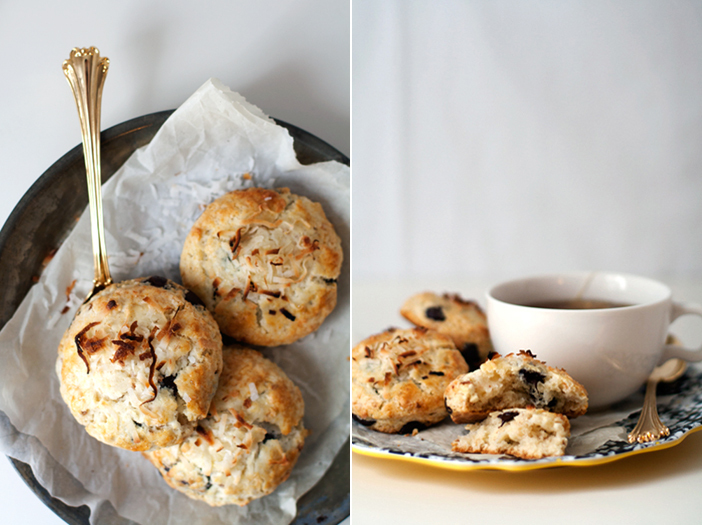 I mean, toasty coconut and chocolate chips are always a fine pair, but in these scones they are even better. 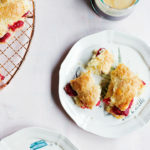 These are cream scones, which means the main liquid is rich and buttery cream. 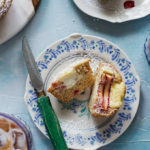 The cream gives these scones the dreamiest crumb that is at once light and decidedly rich. They are super tender with the help of a soft, low protein flour–like White Lily or even a pastry or cake flour. The soft flour has less protein, meaning less gluten, meaning less elasticity, plus more tenderness. While yeasted doughs benefit from some chew, supple scones definitely do not. 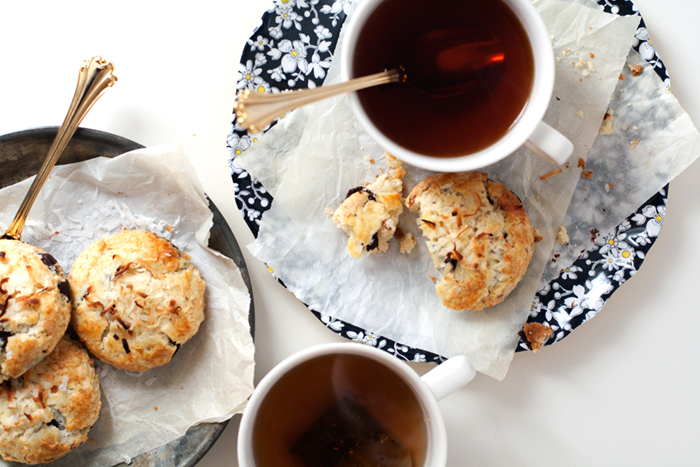 The chocolate and toasty coconut make these already special scones a bit more decadent. 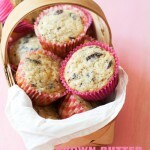 They would be perfect in a brunch spread or even an easy weekend breakfast. 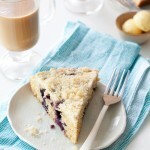 They also make the perfect afternoon treat alongside a cup of something warm and caffeinated. Makes 12, 3-inch round, scones. These scones are still good as leftovers the next day, but are at their very best still warm from the oven. For super fresh scones, I like to freeze the cut and unbaked scones in a single layer on a sheet pan for several hours, then I transfer the frozen scones to a zip top bag and return the the freezer. The scones can then be baked, as needed, from frozen. Just bake an additional 1-2 minutes. Preheat the oven to 425*F. Line a baking sheet with parchment or silicone baking mat. In a dry skillet over medium heat, toast the coconut stirring and watching so as not to burn. Once the coconut is golden and toasty, scrape it into a bowl and set aside to cool completely. In a measuring cup mix together the cream and vanilla. Set aside. Whisk together the egg and tablespoon of milk. Set aside. In a mixing bowl, whisk together the flour, baking powder, salt, and sugar. Work in the chilled butter quickly with your fingertips, rubbing the butter into the flour until the bits of butter are no larger than peas. Toss the coconut and chips into the mixture to distribute. Add the cream mixture and bring the dough together by folding gently with a spatula. Turn out the dough onto a lightly floured surface and knead–the goal is to bring the dough together in under 12 turns of kneading. Once the dough has just come together, pat it out into desired thickness (go for a rough circle to cut triangles, makes about 8), cut with a biscuit cutter and place on the prepared baking sheet. 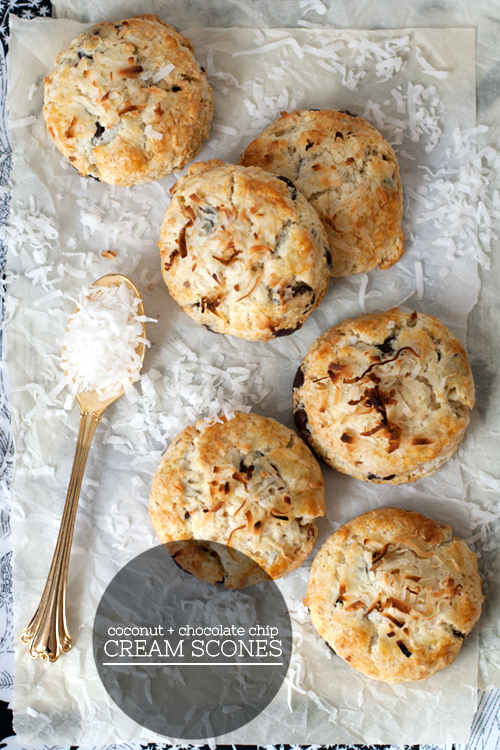 Brush the tops of each scone with egg wash and sprinkle with coconut. Bake in the center of the oven for 10-13 minutes or until tops and bottoms are just golden and scones are baked through. oh my goodness! my oatmeal is suddenly not cutting it… though i do have coconut in that. coconut in everything! adding this to my weekend to-do list! that will happen, ha! Thanks Faye! Thanks for dropping the scone knowledge Cindy!I am drinking my coffee right now without scones, but I guess I’ll have to change that for tomorrow, these look soo good. scone school! you just need these for your coffee break! I’m always day-dreaming of afternoon lattes and treats, sigh…haha! thanks, Amanda! I just happen to have some leftover cream in the fridge :) I love the pretty round shape and of course, coconut and chocolate…yes. I’m glad we got together! Fun times! totally! it was so fun and much needed. I hope you make the scones! I’ve been meaning to track down some White Lily flour here in Virginia – that stuff is so hard to find! I wanted to buy it for biscuit making, but it looks like I have a second reason now. These look super delicious! it’s oddly easy to find where I live in Michigan, but I could never find it before. I think it’s totally worth it for biscuit making alone! thanks Maggie! Oh yum! I want warm these always! How have I been going my entire life without eating these for breakfast every single day??? I’m pretty much obsessed. Once you put chocolate chips in them, it was as though you had made them especially for me. So thank you. For these scones that you made for me. Specifically. anything I can do! haha, thanks Sarah! 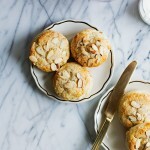 I’m not usually a scone fan but these look great! The only time I really liked a scone was hot from the oven. That is definitely how they are best. So, I read the title and could NOT figure out what a cream scone might be. Add cream. Duh. I feel incredibly silly now haha. These look so delicious! I love your pictures! ha, sorry for the confusion! Thanks! Wow, this looks absolutely delicious! The colours are beautiful! I can’t wait to try! These look great! Scones are always best the first day and I would have never thought to freeze them. Thanks for the awesome tip! Oh, these are totally going to be made for my dad’s birthday. he LOVES coconut and chocolate! One question, though–for the coconut, are you supposed to use unsweetened or sweetened? i’m guessing un-, but want to make sure. i hope i can manage to NOT burn it every time like i did the last time i made toasted coconut…hehe. Thanks, Shaina! I actually used sweetened, but you could use whatever you prefer. Good luck! oh good, that makes things easier so i don’t have to buy it special! i always have sweetened coconut around! :) thanks. hi there! can i make the “dough” for these biscuits the night before and cook them in the morning so they’re nice and warm and not reheated? thanks! I usually make the dough, cut them out, and then freeze on a sheet pan for an hour or two before transferring to a zip-top freeze bag and then freeze again. They can be baked from frozen, just cook an additional minute or so. I hope that helps! You wrote this recipe for me. Chocolate + coconut, what could go wrong? Love. It’s almost 10:30pm, I’m half asleep but wondering if I should stay up and make these. Also, do I have all the ingredients? 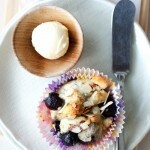 OK, tomorrow I will get up and make these, they look decadent!! I am so happy to hear this, Kendra. Thanks for the comment! I don’t see why not. It may not be as sweet, but with the chocolate that would be just fine.